The following table gives the characteristics of the Cyclades islands and you might also want to compare all the Greek regions . More dark blue stars the better . Please toggle between the itineraries with the A through L buttons in the clickable map below or by simply clicking a button in a table. The Winds button directly above the clickable map shows you the prevailing Meltemi wind directions. When particularly aiming for the Cyclades only - instead of a combination with the Saronic Gulf - the port of Lavrion is more suitable than the Alimos Marina. 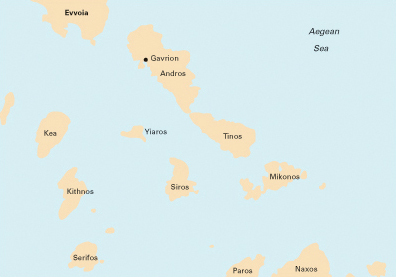 Starting at Lavrion, which is situated further south on Attica and much closer to Kea, means steering clear of the unsightly outskirts of Athens. Downside is the few quality yachts available in Lavrion, since 95% of the good yachts are to be rent from Athens. 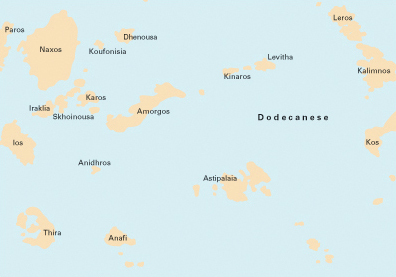 Overrated islands are few, possibly only Mykonos, although a handy port to explore Delos from. Sailing north means beating the prevailing winds - yet the trick of this anticlockwise route is that particularly here the winds are weakest, especially on the east (the more interesting) coasts of the dodecanese and southern sporades which are sheltered by the the myriad of Aegean islands as well as the Turkish promontories. 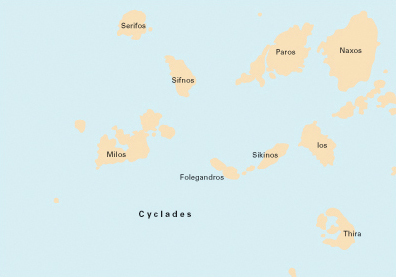 There are several one-way routes possible in the Cyclades since Lavrion and Athens are upwind from the Cycladic main charter bases of Syros and Paros. Furthermore, the ports of Mykonos, Milos and Santorini increasingly serve as useful secundary bases for yacht charters as well. 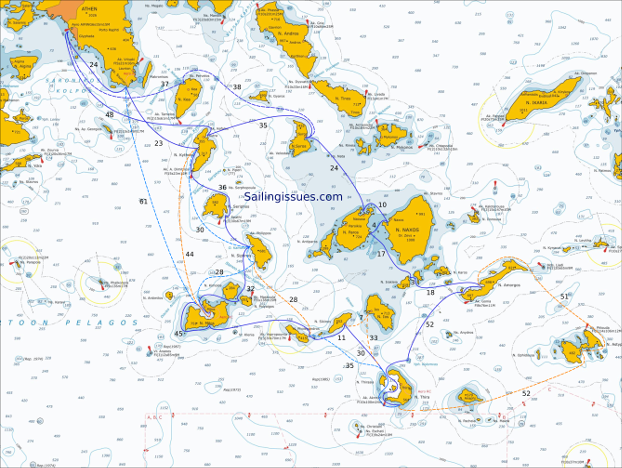 Alternatives for Athens to Athens in 14 days in the Cyclades: click on the chart below for full-size ! 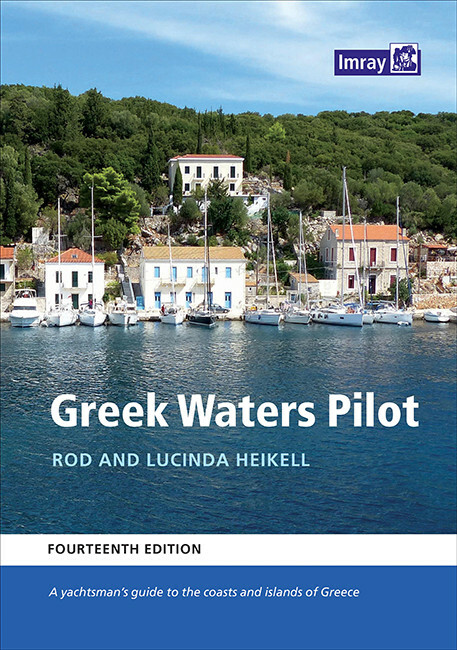 An Ionian combined with Aegean logbook of 2 months.